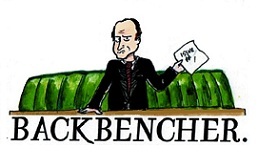 The Backbencher – A Billion Pounds we never knew we had! A Billion Pounds we never knew we had! Allow me to crave your indulgence for just a minute to imagine a political scenario. What you must conjure up in your mind is an image of a woman, lets call her the Prime Minister who out of political self-interest and shear petty-vanity decided she needed a bigger mandate. In trying for one she lost her gamble, undermined the stability of her own government and left herself requiring outside support to remain in power. Now, where did she get this support? 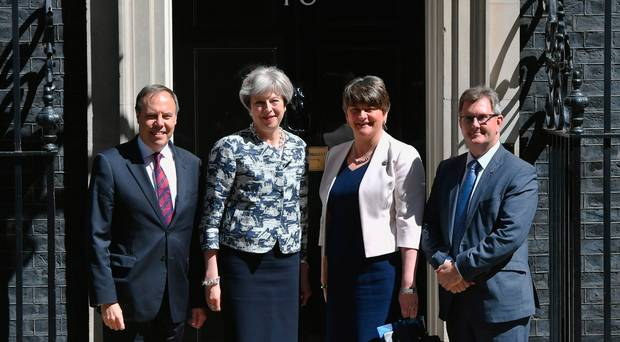 It came from the only people who would give it to her, who just happened to be some anti-abortionist, terrorist-supporting homophobes called the Democratic Unionist Party (DUP). Now, the frightening part is that this, what sounds like a comedic farce, is all too real and the cost of £1 billion far too much. In looking at the financial aspects of this deal, I will explore where the money has come from, its impact on Northern Ireland (NI) and elsewhere as well as briefly posing the question of what we could have had for the same price as a dramatically weakened national leader and a government propped-up by a party of extremists. The first question of where the money came from for the deal is impossible to answer directly. Having been told there is no cash for pay rises across the public sector, funding increases for public services and a myriad of other things, £1 billion has been found for this sordid deal. Perhaps it was stuffed in a mattress at Number 10, or maybe it fell out of Boris Johnson’s suitcase when he went off on some foreign junket. But all joking aside, where did it come from? It would be easy to simply say it is money pulled from public services being used to prop-up the government. But, while we can’t say with any certainty, chances are this is not the origin of the money; to do something so rash would be political suicide, and the danger of a leak too great. More realistically, it has likely been drawn from what you could call almost a ‘rainy-day’ fund, kept by all governments in case of emergency. It is usually employed during crises such as severe floods of other disasters to provide immediate financial relief. This fund is not identifiable as such, nor is it kept in one convenient place, but all over Whitehall ready for government use. Now, whether you believe the DUP deal to be a fair use of this public money is up to you, and I will address this issue in part subsequently, but suffice to say this is almost certainly the origin of the funding behind the deal. 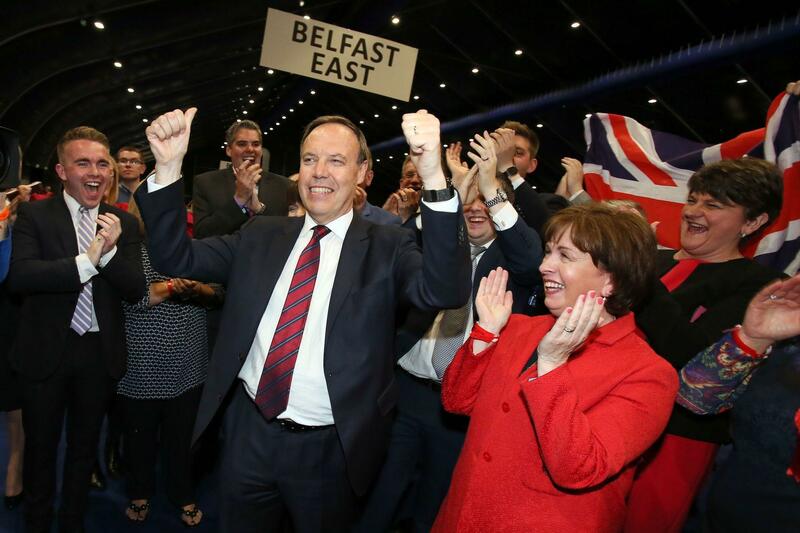 But what impact will this money have on NI and indirectly on the other regions of the UK? First and foremost, this £1 billion should be put into context with already existing funding plans for NI. It will add to the existing £500,000 million of funding pledged to the country, effectively tripling the public spending power of the Stormont assembly if and when it re-forms in due course. I do not need to wax lyrical about the benefits it will have and the huge increases in capital spending it will enable, allowing increased public investment and extra funding for public services. It will allow NI to properly fund its institutions and relax some spending constraints which have been in place for the past 7 or so years. Indeed, the extra £1 billion will allow for increased capital expenditure in several important areas including health and transport, both areas in dire need of increased funding in NI, not to mention the rest of the UK. The wider impact is somewhat different however. The figures speak for themselves. What the deal and funding increases for NI have created is a dramatic imbalance of funding between the constituent parts of the UK. Allow me to demonstrate this, and why so many are angry with the increase to NI funding with a few statistics. Between 2012 and 2014, average public expenditure per head per annum stood in England at £8,529, Scotland at £10,152, Wales at £9,709 and NI at £10,876. So, before we even take the £1 billion into account, NI is per head better funded as it is. The extra money is only going to act to create an even deeper sense of resentment and of injustice. The greatest irony is of course that this money is being given to an executive which to all intensive purposes doesn’t even exist, let alone function in any cohesive way in order to spend this money! So with all of this in mind, I feel it would be interesting to briefly list some of the things we could have had for this ‘extra’ £1 billion. Well, for a start we could have reversed and cancelled a vast range of social care and service cuts for the elderly and most vulnerable. Indeed, with the many ‘multiplier effects’ taken into account, we could have afforded much more than the 1% pay increase afforded to NHS staff. Considering recent security concerns, £350,000 million of it could have recruited 10,000 more police officers to keep us safe and patrol our streets. Again, considering recent events, £5,000 per tower block could have seen them refitted with non-flammable cladding. No doubt this will be done anyway, but why not out of this fund instead of putting the onus on local councils and asking them them to find yet more from already depleted budgets? Let us hope the money is not found for these re-fits from other essential services….. But this is besides the point. Ultimately, the whole situation is a mess, and a self-inflicted one at that. Financially, the real problem arises not from the fact that the £1 billion has come from public cuts but that it is at heart public money going on a political deal and worsening finding discrepancies across the UK. Of course, after the election result, something like this was almost bound to happen; for Theresa May’s advisors and colleagues, it was a situation not unlike trying to advice the captain of the Titanic after it had struck the iceberg. But now the deal and damage is done and we can only wait to see its effects play-out; both economic and political.